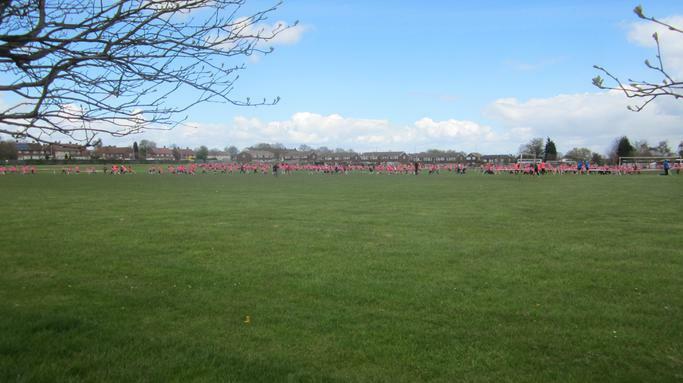 All of our Key Stage 2 children today took part in the GO Run for Fun event at St Theresa's Catholic Primary School. 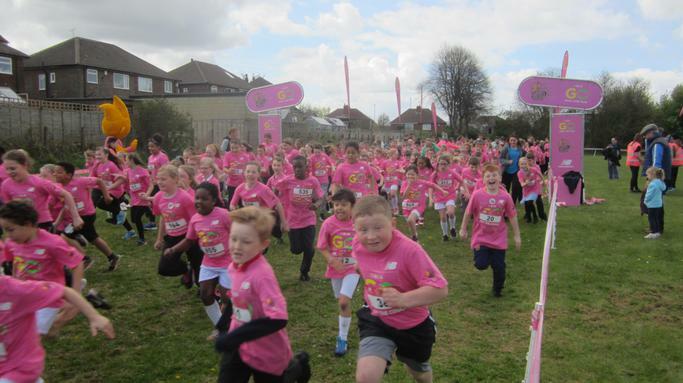 GO Run For Fun aims to get children "off the couch" and into running. 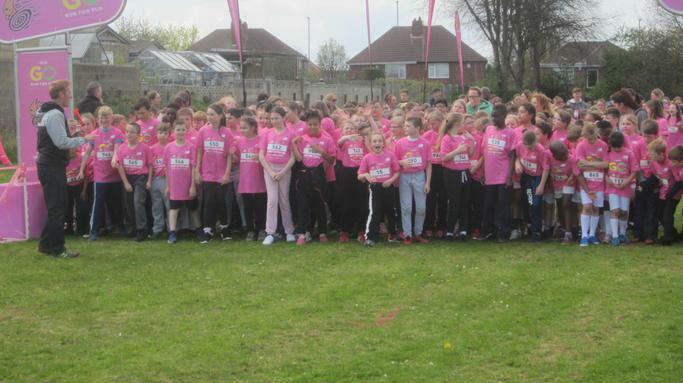 Around 2000 children from 32 Leeds schools took part. 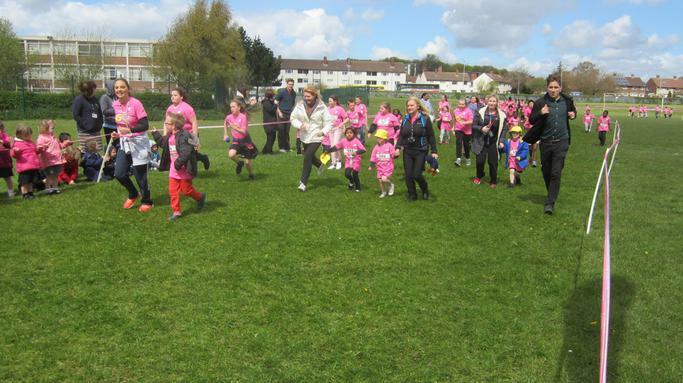 The event was held in memory of Leeds schoolteacher Anne Maguire who died so tragically 2 years ago. 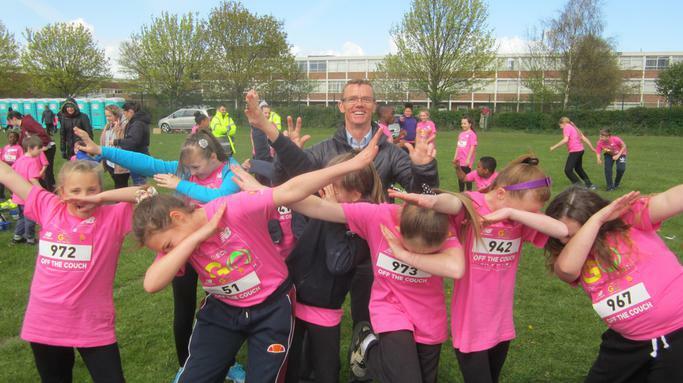 Everyone tried their very best, even if they didn't manage to run around the whole course. 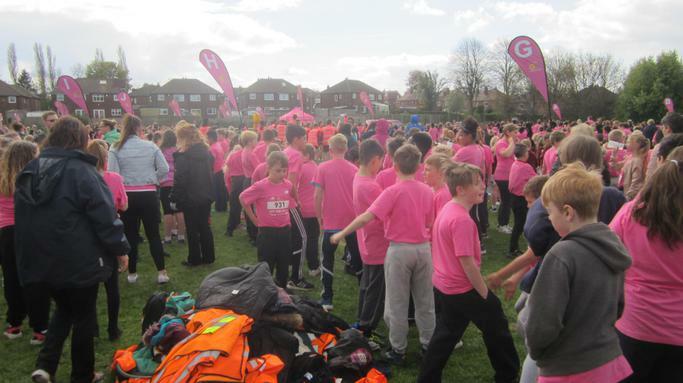 All the runners received a souvenir pink T shirt and pair of coloured laces.